When you take a photo with a camera, there are two modes you can use: RAW format, which captures and stores ALL information about the shot without actually processing any of it, or JPG format, which compresses the image and throws away all excess information. 99% of the time, it’s better to shoot in RAW mode RAW Files: Why You Should Be Using Them for Your Photos RAW Files: Why You Should Be Using Them for Your Photos Almost every article featuring advice for people just learning photography stresses one thing: shoot RAW images. Here's why that's good advice. Read More . The only exception is if you’re tight on space — a single RAW file can be up to 10x larger than its equivalent JPG file. (Which is why we recommend buying multiple high-capacity SD cards for photography How to Pick & Buy the Best SD Card for Your Needs How to Pick & Buy the Best SD Card for Your Needs What kind of SD card is right for you? Not all of them are the same, after all. Here are the minimum specs you should aim for depending any given activity or need. Read More .) And fortunately, smartphones can shoot RAW nowadays How and Why to Shoot RAW Photos on Android How and Why to Shoot RAW Photos on Android If you really want the best quality smartphone photos, you'll want to shoot in RAW. Read More . The problem is that different camera manufacturers use different RAW formats, which is frustrating when multiple people are dealing with one set of photos or when you’re working with cameras from different ecosystems. For example, modern Canon cameras use CR2 format while modern Nikon cameras use NEF format. Other lesser-known manufacturers have their own RAW formats to deal with: ORF (Olympus), PEF (Pentax), SRW (Samsung), 3FR (Hasselblad), etc. But then Adobe came on the scene with its DNG format (“digital negative”), which is an open RAW format that’s unencumbered by royalties, copyrights, licensing, etc. All Adobe products support DNG, and Adobe intends for it to be the “universal” solution to the web of RAW formats currently available. Which is why you should be using the Adobe DNG Converter. It’s a hefty download (just shy of 300 MB) but will prove useful if you deal with a high volume of RAW images on a regular basis. 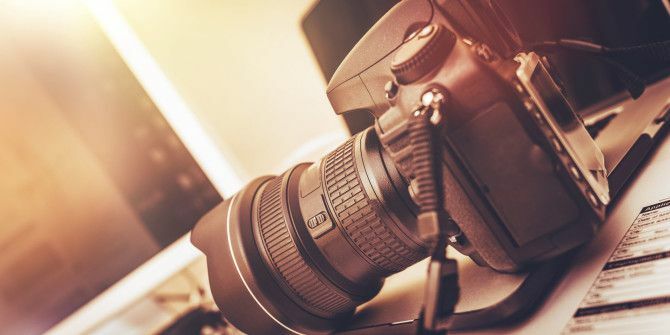 It can convert nearly every RAW file format in existence, including those from Apple, Canon, Fujifilm, Hasselblad, Kodak, Leica, Nikon, Olympus, Pentax, Sigma, and Sony. Using the converter is simple: point to a source folder, point to an output folder, select any applicable conversion preferences, and click Convert. It doesn’t get simpler than that. Do you shoot in RAW or not? If you do, do you prefer your camera’s native RAW format or Adobe’s DNG format? Share with us below! Explore more about: Digital Camera, Image Converter, Photography. The question about DNG is, are there other products not from Adobe that supports this format? Is it a trap creating dependency on Adobe products? Are others allowed to implement DNG and the information about changes in the format is widely spread in real time, so other products can still offer a good support for this format? If I am to depend from a brand, then I thing I should stick to the format my camera offer together with the supplied software. It's just Adobe's interest to sell software, so they're up to implement whatever the camera industry uses, or they're not selling software.